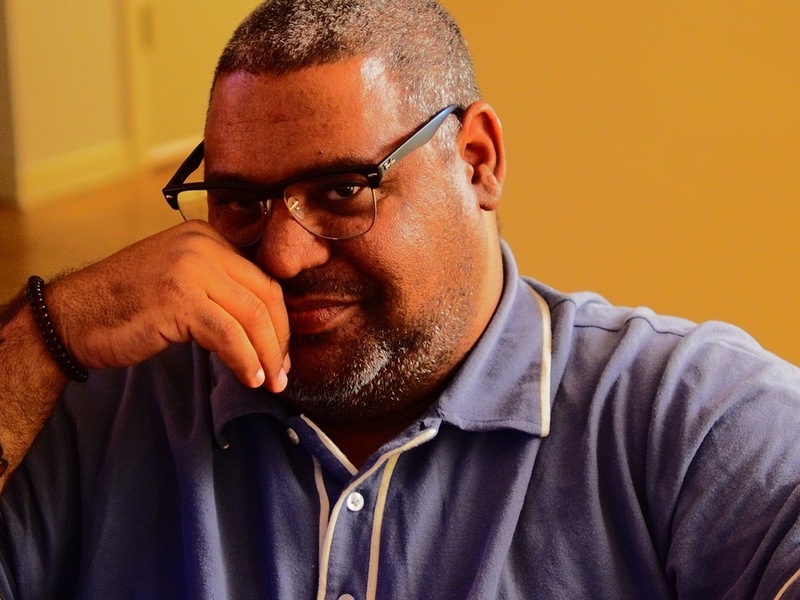 Chris Abani is a novelist, poet, essayist, screenwriter, and playwright. Born in Nigeria to an Igbo father and English mother, he grew up in Afikpo, Nigeria, received a BA in English from Imo State University, Nigeria, an MA in English, Gender and Culture from Birkbeck College, University of London and a PhD in Literature and Creative Writing from the University of Southern California. He has resided in the United States since 2001. He is the recipient of the PEN USA Freedom-to-Write Award, the Prince Claus Award, a Lannan Literary Fellowship, a California Book Award, a Hurston/Wright Legacy Award, a PEN Beyond the Margins Award, the PEN Hemingway Book Prize, and a Guggenheim Award. His fiction includes The Secret History of Las Vegas, Song For Night, The Virgin of Flames, Becoming Abigail, GraceLand, and Masters of the Board. His poetry collections are Sanctificum, There Are No Names for Red, Feed Me The Sun - Collected Long Poems, Hands Washing Water, Dog Woman, Daphne’s Lot, and Kalakuta Republic. His work has been translated into French, Italian, Spanish, German, Swedish, Romanian, Hebrew, Macedonian, Ukrainian, Portuguese, Dutch, Bosnian, and Serbian. Through his TED Talks, public speaking, and essays, Abani is known as an international voice on humanitarianism, art, ethics, and our shared political responsibility. His critical and personal essays have been featured in books on art and photography, as well as Witness, Parkett, The New York Times, O Magazine, and Bomb. His many research interests include African Poetics, World Literature, 20th Century Anglophone Literature, African Presences in Medieval and Renaissance Culture, The Living Architecture of Cities, West African Music, Postcolonial and Transnational Theory, Robotics and Consciousness, Yoruba and Igbo Philosophy and Religion. He is a Board of Trustees Professor of English at Northwestern University.